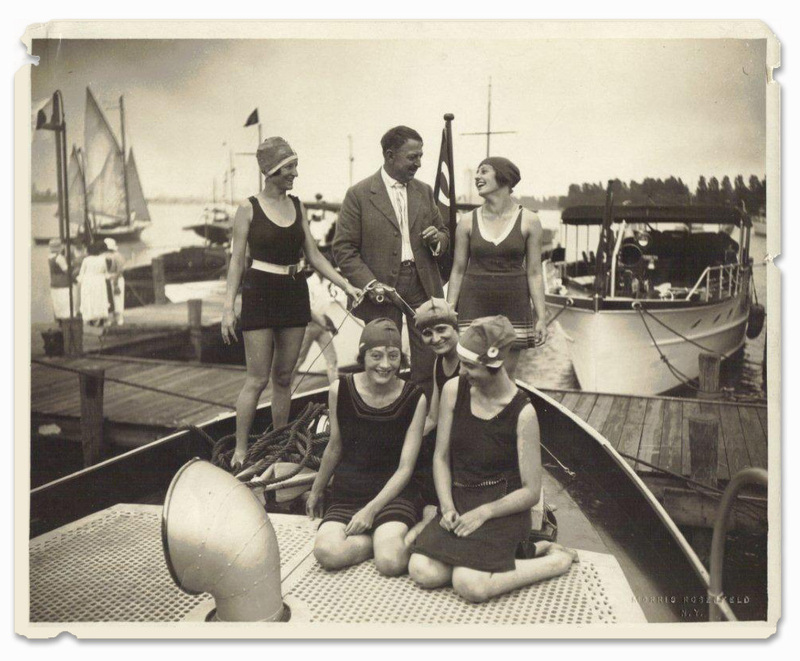 Here ya go, thanks again to fellow Woody Boater Herb Pocklington, a very old shot of Christopher Smith with some Chris Craft girls. You can take your own shot with Christopher Smith..AAAND Gar Wood up in Michigan in June for the dedication of there statue. But first send a little coin action to the gang building the statue. That way young beauties will surround you as well.. Beats the stock market.. at least you will know that your money is been turned into something that will hold up.. If you missed the story at the start of the week. Here is one more chance. Two Big Antique &amp; Classic Boat Shows Only Days Away. Are You On Your Way?